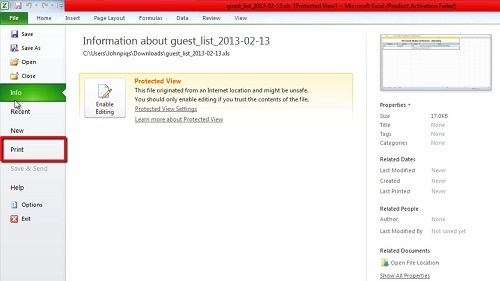 In this tutorial, you will learn how to print Facebook event guest list. First, make sure you are logged into your Facebook account at “www.facebook.com” and that you have created your event. Now in a new window, go to the website “www.evu.li” and click on the blue “Start Now” button under the “Export FB Event Guest List” column. On the next screen, click “Connect”, then click “Go to App”. If your event is public, you may select it from the dropdown and then click the blue “Download” button. If your event is private, as it is in this example, you will need to enter the event ID number. 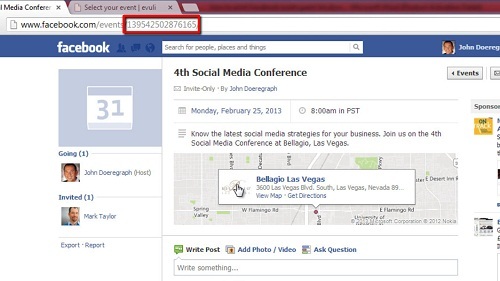 To find the event ID number, click on your event name in Facebook to see the event URL in your browser’s address bar. The event ID will be the numbers following “www.facebook.com/events/” in the address bar. 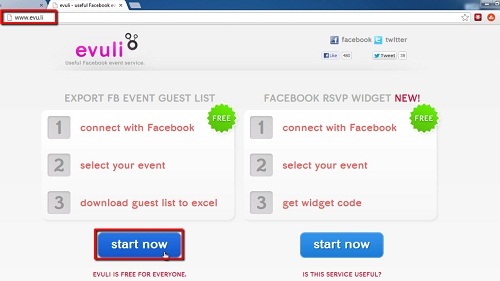 Copy and paste the event ID into the evuli page where it says “Enter your event ID”, then click the blue “Download” button. From the pop-up window that comes up, choose the option to open the file with Excel. This will create an Excel file that contains all the names of confirmed attendees to your event, which you can then print by simply clicking the “File” button in the upper left-hand side of the window and then choosing “Print”. And that’s it, you now know how to print Facebook event guest list.